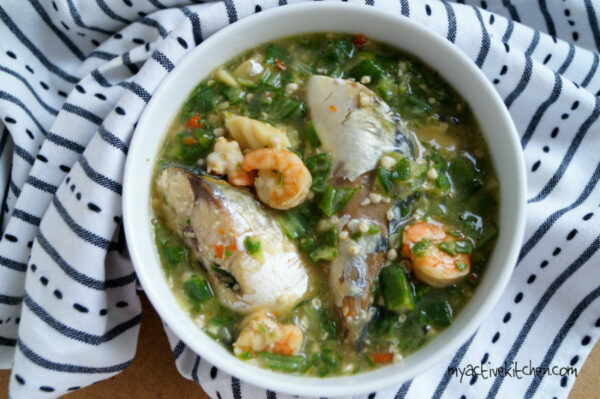 Yaay… Guess who finally cooked oil less okra soup? 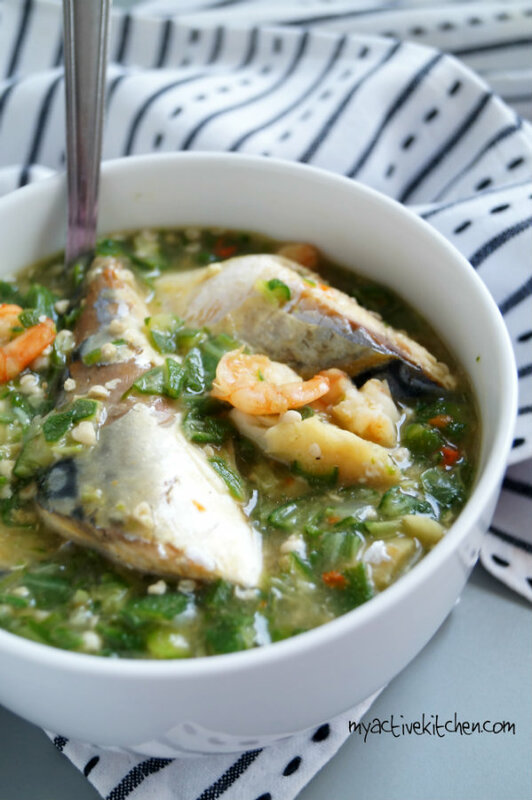 Yes, me and I didn’t use salt too… I seriously can’t believe it took me this long to make this guilt-free, yummy and healthy Nigerian soup. I have always known I could make it but the oil-eating habit in me shelved the idea. Thanks to healthy eating, I now find it possible and also easy to make too. In the past, when I cook okra soup (ila alasepo) I use about a serving spoonful of palm oil which in my opinion is not too bad if you ask me but it is also good to give the healthy treat a try too. 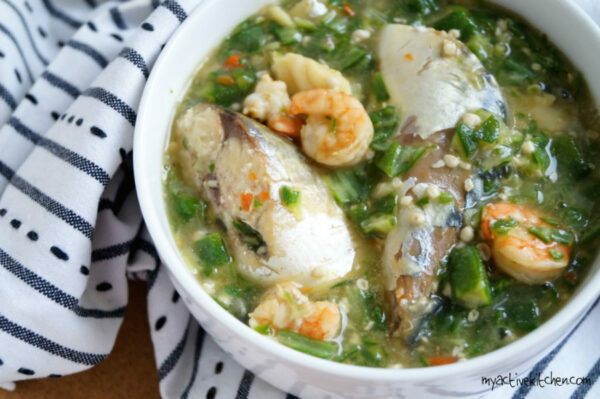 Trust me, you won’t miss a thing and this oil-less okra soup is packed with nutrients, it is a delight. I made this recipe as guilt-free as possible and that is why I choose fish and not beef. You can use any protein you want and I’m sure it would taste great too. This recipe would feed a family of four conveniently; feel free to adjust and adapt the recipe to suit your family size and pocket. 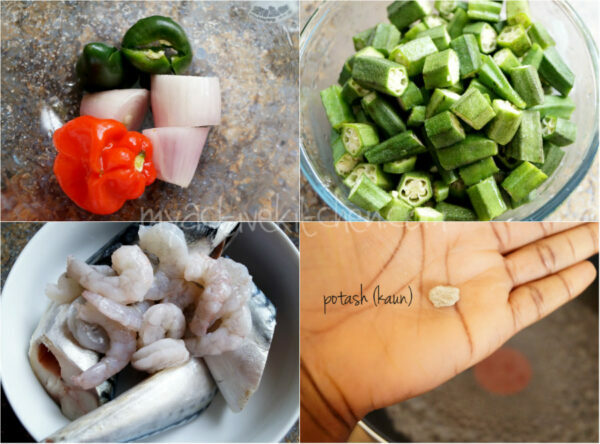 Add okra to a food processor and pulse few times. Clean fish and de-vain prawn, sprinkle with pinch of salt (if using) and set aside. 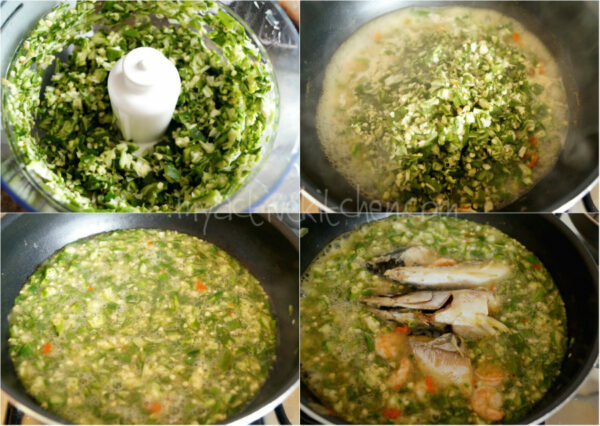 Add the fish and prawn and stir in gently in order not to break the fish and continue to cook for another 3-5 minutes. Take it off the heat and serve with any swallow of choice. I have saved this post ever since I came across it on SYTYCC. I just tried mine and I just finished eating it with plantain amala. Trust me, the fact that it’s oil makes it more delicious. Thank you for the recipe. Awww thank you so much for the feedback. i am glad you loved it. I don’t have a food processor, can I use a blender? Also what type of food processor would you recommend please? Would like to buy one in Lagos. Hi Dayo, yes you can use blender. Add little water to the okra and use the pulse button (P) on the blender. I use kenwood food processor. 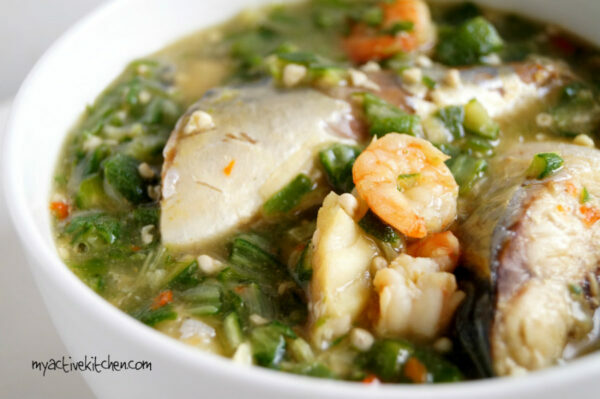 You wont believe this….I cooked oil less okro soup last night for the first time and here am I accidentally reading your post. The soup was very yummy and I wondered why I had to wait these long before trying it out. I could not find fresh Mackerel so I used the smoked one instead. After eating it last night, I tried some to the office today as lunch. Looking forward to trying your own recipe next time. Did you blend the okra..